The massive sum will buy out Kite Pharma, whose cancer therapy is expected to be among the first of its type approved by the FDA. 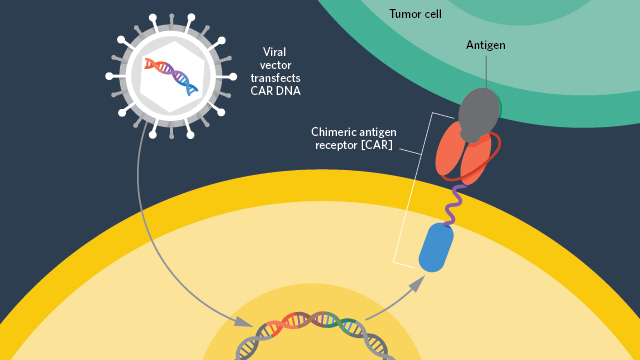 BUILDING A BETTER T-CELL: By modifying T cells to express chimeric antigen receptors (CARs) that recognize cancer-specific antigens, researchers can prime the cells to recognize and kill tumor cells that would otherwise escape immune detection. The process involves extracting a patient’s T cells, transfecting them with a gene for a CAR, then reinfusing the transfected cells into the patient.© LUCY READING-IKKANDAFoster City, California–based Gilead Sciences has offered $11.9 billion cash—or $180 per share, a 29 percent greater value than the stock price at Friday’s close—for Kite Pharma and its CAR T-cell therapy program, which is currently racing to be the first to market. “This technology is really going to be transformative to the field,” Gilead CEO John Milligan tells The Wall Street Journal. 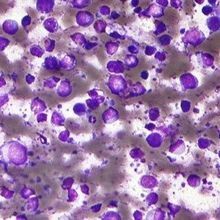 The therapy, which involves genetically engineering patients’ own T cells to carry chimeric antigen receptors (CARs) that make them more potent tumor killers, has thus far demonstrated success in treating blood cancers such as lymphoma. Its leading drug, axi-cel, is awaiting review by regulatory authorities in the U.S. and Europe. 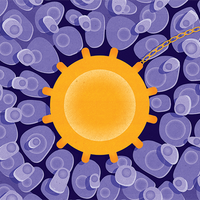 Kite’s CAR T-cell products are heading toward approval alongside those from Novartis, whose CTL019 therapy to treat acute lymphoblastic leukemia recently got two thumbs up from a US Food and Drug Administration (FDA) advisory committee. Gilead is looking to replicate the success of a similarly large deal it made in 2012—the $11 billion purchase of Pharmasset that included now top-selling hepatitis C drugs. And CAR T-cell therapies may be just what the company is looking for. 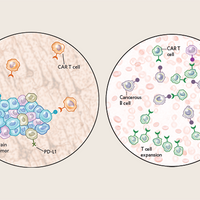 In addition to numerous trials demonstrating the potential for CAR T cells to essentially “cure” hard-to-treat blood cancers, researchers are now making progress in reducing the therapies’ toxicity. “The field of cell therapy has advanced very quickly, to the point where the science and technology have opened a clear path toward a potential cure for patients,” Milligan tells STAT News, adding that the acquisition of Kite is “an excellent strategic fit” for Gilead. Some on Twitter have pointed out that the deal’s $11 billion value stands in stark contrast to the mere $350,000 Kite paid to the National Institutes of Health in February 2015, with additional benchmark payments of up to $6 million, for each licensed CAR T product and an additional $7 million benchmark payment if aggregate sales top $1 billion. The deal is expected to close later this year, around the time that is currently set as the deadline for US approval of axi-cel, The Wall Street Journal reports.